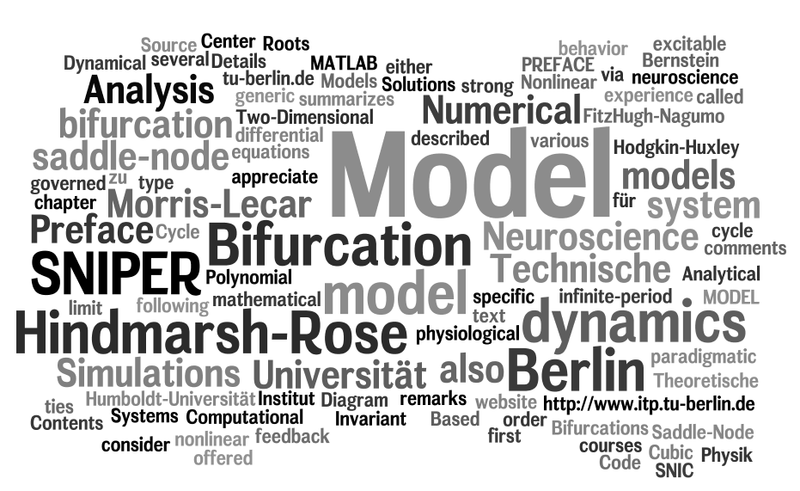 Based on several courses on nonlinear dynamics offered at the Institute for Theoretical Physics (TU Berlin), this documentation provides a summary of various mathematical models that have strong ties to neuroscience. The relevance of each of these models arises from their ability to address specific features that are characteristic to certain aspects of neural dynamics. The main focus is not a one-to-one correspondence to physiological quantities, but a phenomenological description that allows for application of tools well established in nonlinear dynamics. Therefore, the goal is an introduction to nonlinear systems related to neuroscience and not a collection of physiological models that describe the neurological anatomy in detail. This text is far from being completed. To the contrary, all chapters should be considered as work in progress and subject to change. Besides editing the existing material, we will also extend the text by additional chapters, for instance, on network science. The documentation serves a preparation for a textbook that will be finished in the summer of 2016. We appreciate feedback, comments, and remarks either via email (phoevel@physik.tu-berlin.de) or via the web form below.